← Ever Navigated on a French Canal? 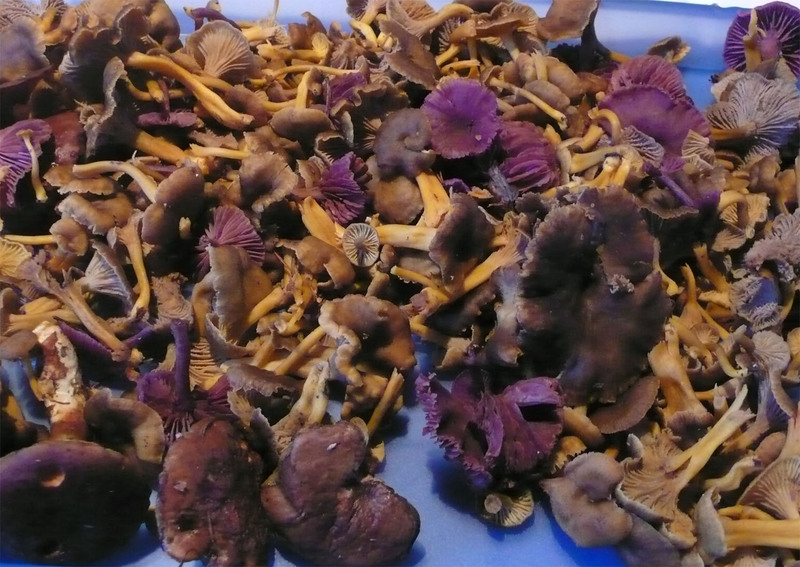 So now that we’ve found all these wild mushrooms and cut them with our nifty mushroom knives rather than yanking them out of the ground so that we’ll find more next year), how do we cook them? 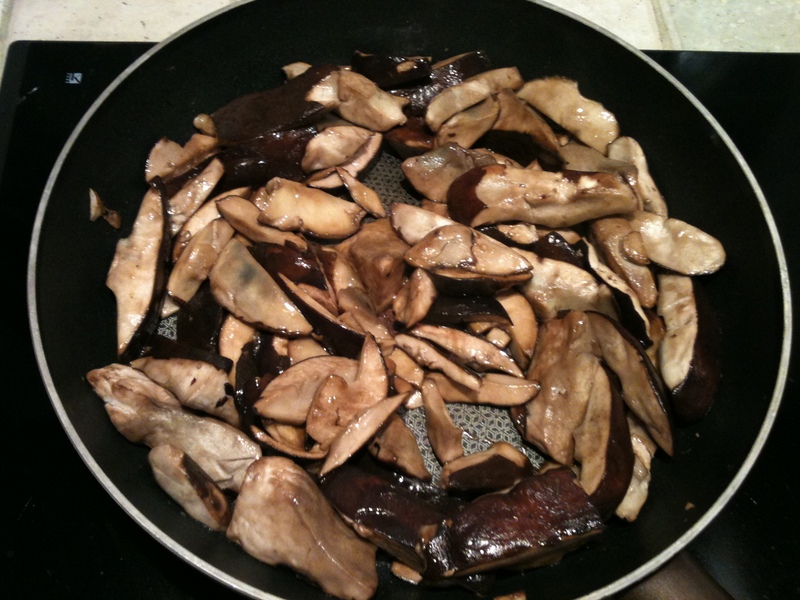 Ceps and the more compact boletes such as boletus aureus and boletus pinophilus can be stand alone as an entrée, used in omelettes or served with meat or fish. 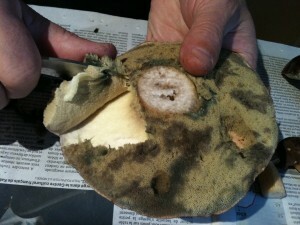 If the spores aren’t too spongey, all you need to do is brush off any dirt and cut the mushrooms into slices. You can keep the stems of ceps but those on the boletes need to be cut off. Fry on medium eat in a little bit of olive oil until cooked. Some people add parsely and garlic but I think it destroys the natural taste. Great on toasted break at aperitif time, particularly with beaujolais nouveau or Alsatian vin nouveau! You’ll need to peel off the spores on the more spongey boletes. Using a sharp knife, cut the mushroom in half to make it easier to handle and you’ll see that you can peel off the spores all at once. Then chop into fairly big chunks or slices. 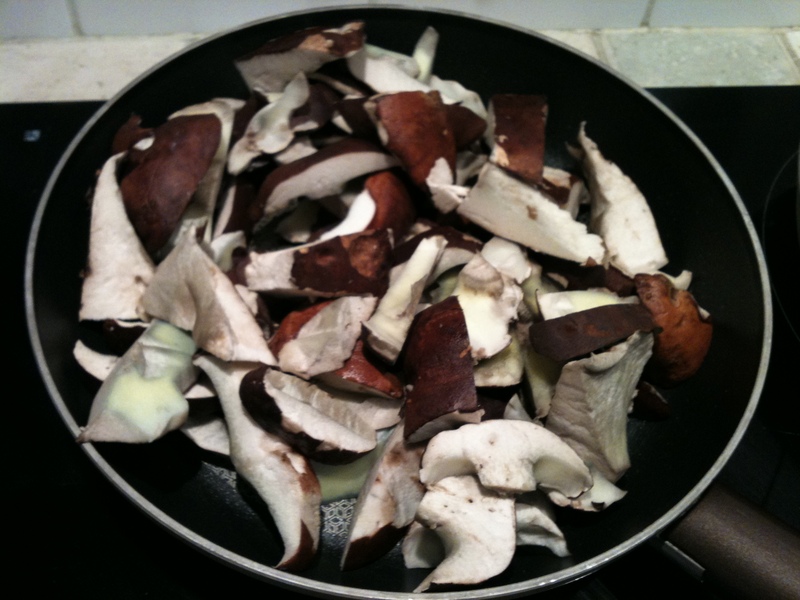 Cook in the same way as ceps, but a little longer, about twenty minutes or more to make sure that the more laxative ones don’t pose problems. Trumpet chanterelles and horns of plenty just need to be brushed down and the horns of plenty cut lengthwise if they’re large. 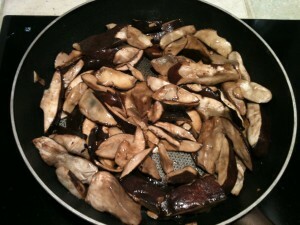 Cook in the same way as the ceps and boletus. You’ll see that they give off a lot of water which usually indicates they’re cooked. Horns of plenty are excellent with white fish and veal. 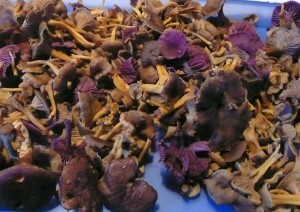 Chanterelles are a good accompaniment to beef. 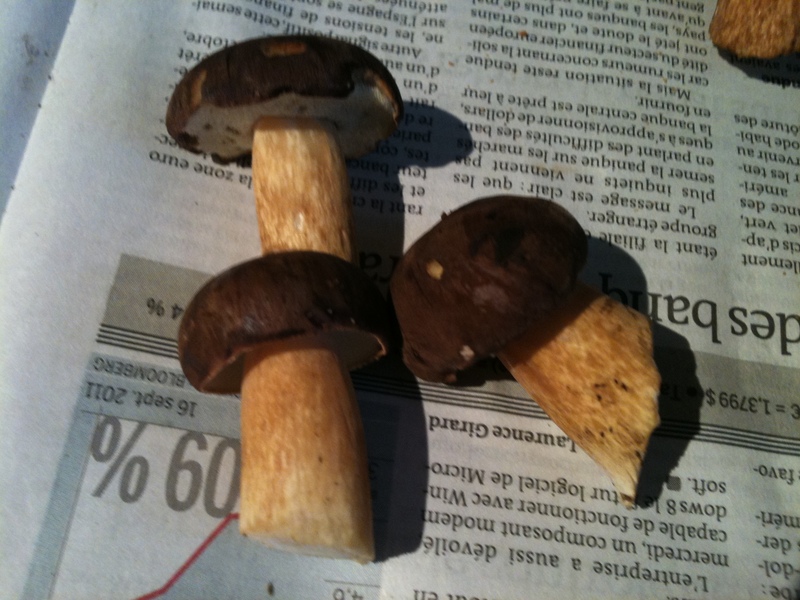 All the other mushrooms, such as grisettes, amethysts, parasol mushrooms and horse mushrooms, can just be brushed, the stems removed and cooked as above. If you’ve picked more than you need, just cook them and freeze them in freezer bags. This entry was posted in Food and tagged boletus aureus, cooking mushrooms, mushroom knife, wild mushrooms. Bookmark the permalink.